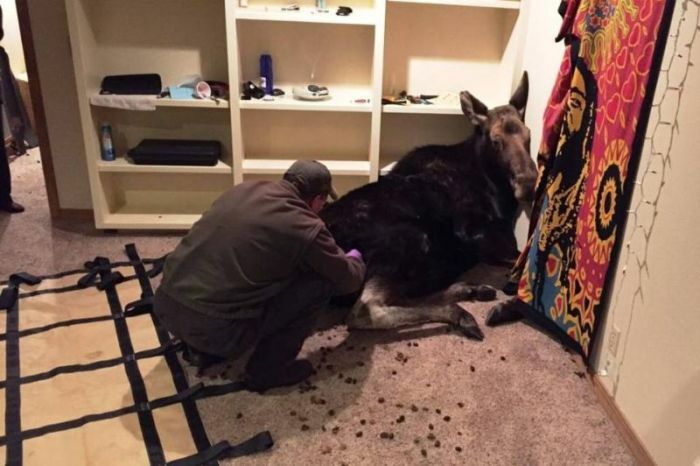 A man from the city of of Hailey, Idaho recently came home and discovered a large moose in his house. 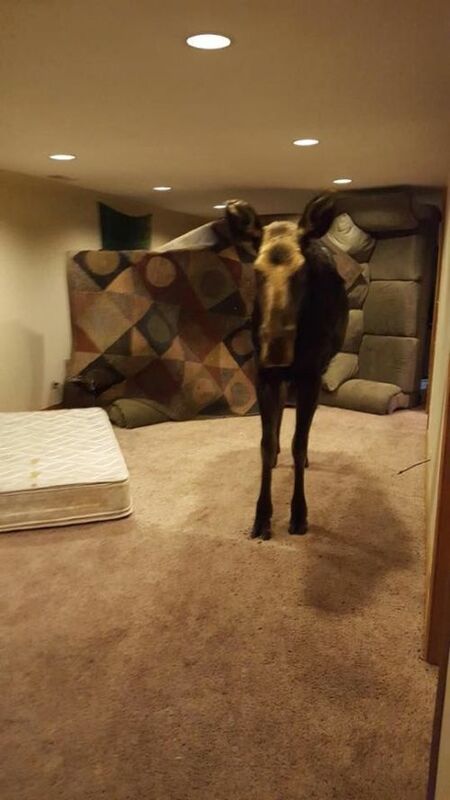 The animal was trying to escape the cold winter weather, and it dropped into the house through a window then collapsed into the basement. 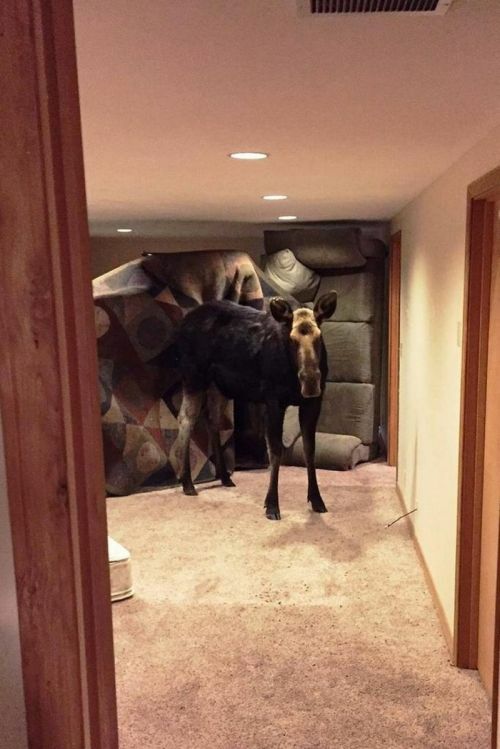 It took eight rescuers to get the moose out of the house.